So often, we hear tales of gorgeous royal tiaras that have graced various regal heads before ultimately being sold at auction. Happily, today’s tiara is something of a reversal of that tale: the Ancona Tiara began in one set of royal hands, and even after being auctioned, it ended up in the collection of another set of royals. The original owner of this tiara was a member of the Habsburg branch of the Italian royal family. Some have claimed that the pearl and diamond tiara was made as a wedding gift for Princess Maria Anna of Saxony on her 1817 marriage to Leopold II, the future grand duke of Tuscany, but the exact date of the tiara’s construction is unknown. The pearls in this piece are clearly natural, and their mismatched quality gives the piece a quirky authenticity. Diamond trefoils below encase more pearls, and the base of the diadem is also lined with small round pearls. After Maria Anna’s death, the tiara ended up in the collection of her successor — her husband’s second wife, Princess Maria Antonia of the Two Sicilies. It was Maria Antonia’s daughter, Archduchess Maria Isabella, who inherited the piece, and the tiara was handed down by her Bourbon-Two Sicilies descendants for the next century. (Maria Isabella married her mother’s brother. Those Habsburgs, seriously.) Her daughter Maria Antoinetta had the tiara next, followed by her son, Ferdinand Pius, Duke of Calabria. The last owner of the tiara from its original family line was Ferdinand Pius’s daughter, Princess Lucia of Bourbon-Two Sicilies. In 1938, Lucia married Prince Eugenio of Savoy, Duke of Ancona, hence the name of the tiara. The woman in the vintage photos of the tiara is not Lucia, however, but her sister-in-law, Lydia d’Arenberg, a Belgian princess who married Eugenio’s elder brother, Filiberto. Most seem to agree that Lucia loaned the tiara to Lydia, who was married to the more senior brother in the family. In 1999, the Savoy family put this tiara up for auction. Most of the time, the story would end here. 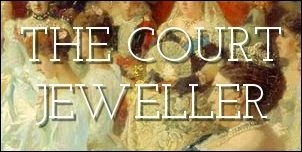 But the buyers of the tiara this time were actually also connected to the original owner of the piece. Prince Carlo of Bourbon-Two Sicilies, Duke of Castro, happens to be married to Camilla Crociani, the daughter of an extremely wealthy family. The Crocianis reportedly bought the tiara for their daughter. As Prince Carlo is also a descendant of Maria Antoinetta of Bourbon-Two Sicilies, the purchase kept the tiara within the family. Princess Camilla wore the tiara for the first time in public at the 2004 wedding of Crown Prince Frederik of Denmark, surprising everyone by appearing in an heirloom tiara that many had imagined was lost for good.